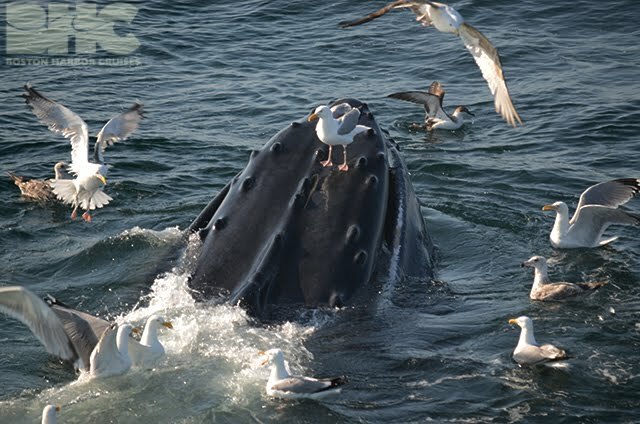 Today we joined Captain Earl aboard the Aurora for an 11am visitation to the feeding grounds on the Southwest Corner. 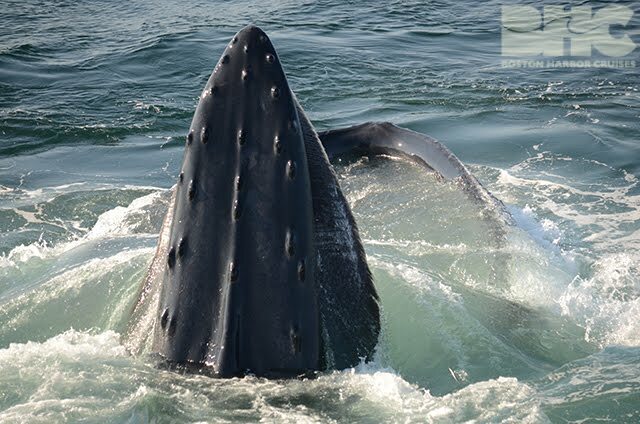 Upon our arrival we sighted several groups of humpback whales who were indulging on sand lance visible at the ocean surface. Amongst a pair of humpbacks we identified the cetacean succubus named Dracula, who glamoured us with enchanting bubblenet feeding displays. 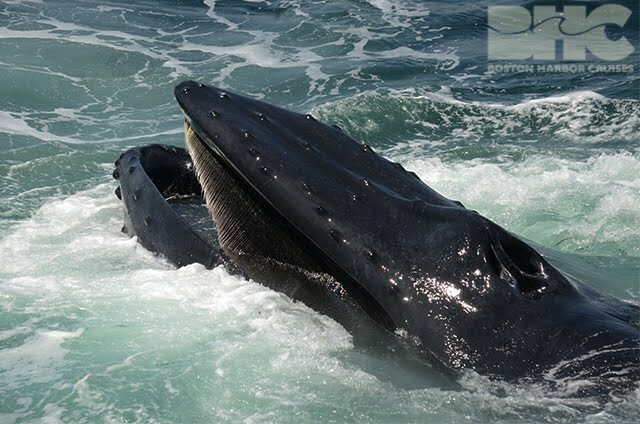 As this mysticete impaled the ocean surface with its hungry rostrum, another humpback by the name of Reaper plowed the Atlantic in prolonged displays of open-mouth feeding. Reaper engaged in the serpentine dance called “snaking”, contorting in feats of dexterity while throwing back its head to emit abrupt blows! 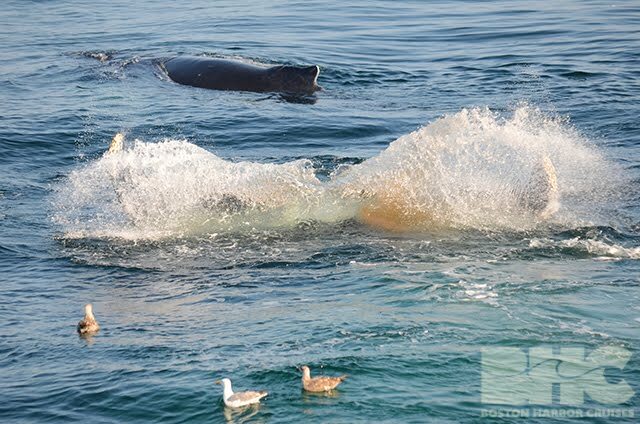 Reaper concluded this perplexing bucking behavior with several tail breaches, leaving many with the conviction that whales can sometimes be quite strange. Spoon and her calf eventually arrived on the scene, and their humpback neighbors Glo and Nile made a late but welcome appearance as well. The exhibition was brought to its finale with the arrival of many a minke, completing the rorqual ruckus that was our midday whale watch. During our 3pm expedition we returned to the south with a boat fresh with new passengers, eager to introduce them to further Atlantic acrobatics. 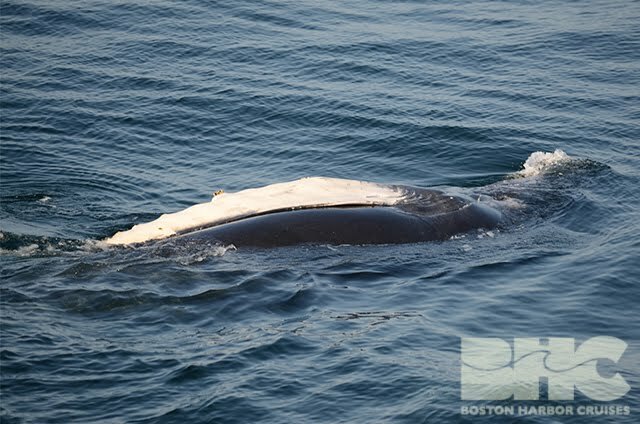 We were successful in rediscovering Spoon with her calf, in addition to humpbacks Northstar, Soot, Nile, Level, Lariat, Peninsula, and Tornado! 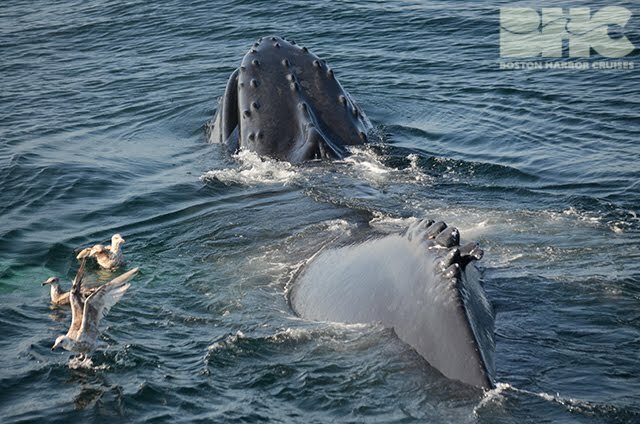 Our evening hit its climax upon sighting Fulcrum and her surface active calf! While this youngster rolled upon the surface, the mother began “snaking” and permitted a few herring gulls to hitch-hike atop her rostrum! The calf shyly obscured its fluke pattern from our camera, but Fulcrum was quite bold until our departure, bidding us farewell with enormous clouds of defecation and a breeze ripe with the scent of snarge. Stellwagen Bank and its inhabitants has continued to astonish us, and I look forward to the next escape from the mainland!